Those were grim times when I had to relay the news that Nursey Sheepskin (1846) was on its uppers. The Jack was lowered at Tweed Towers that day, let me tell you. I am pleased to tell you that the story has a happier ending than we ever thought possible, a bicuspid one at that. Firstly, Nursey survives and is still producing and selling sheepskin products such as slippers and hats, though the famous sheepskin coat is no longer being made — for now? 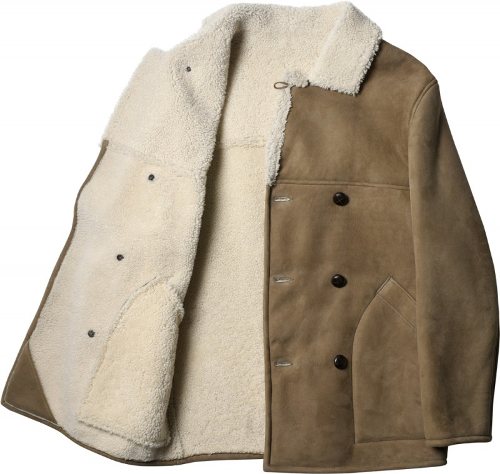 The second piece of good news is that dear Margaret Howell has included a double-breasted sheepskin coat in her latest collection (above and below). Pretty classic don't you think? It's all there, the leather 'football' buttons, the patch pockets, the loop fastener at the neck. Get it while you can. 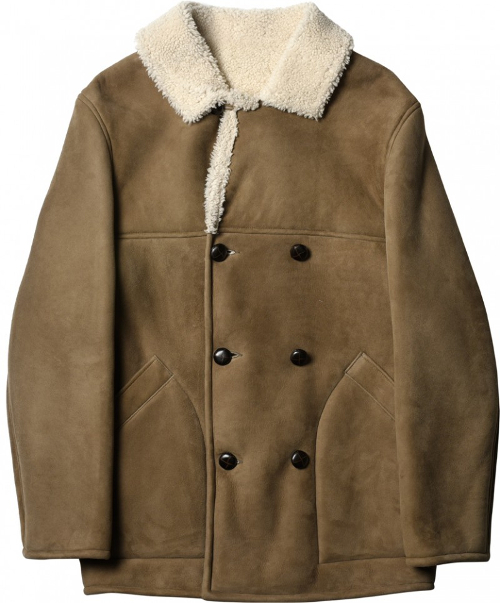 Who knows when or where a proper, decent sheepskin coat will surface again.